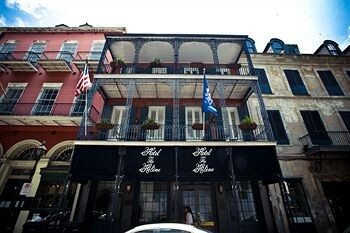 Property Location With a stay at Hotel St. Helene in New Orleans (French Quarter), you&apos;ll be minutes from New Orleans Pharmacy Museum and Jackson Square. This romantic hotel is within close proximity of Historic New Orleans Collection and Jean Lafitte National Historical Park and Preserve Visitor Center.Rooms Make yourself at home in one of the 16 guestrooms featuring iPod docking stations. Complimentary wireless Internet access is available to keep you connected. Bathrooms have showers and complimentary toiletries. Conveniences include safes and ceiling fans.Rec, Spa, Premium Amenities Take advantage of recreation opportunities such as an outdoor pool, or other amenities including complimentary wireless Internet access and concierge services.Dining A complimentary continental breakfast is served daily.Business, Other Amenities Featured amenities include a 24-hour front desk and coffee/tea in the lobby.